Here at Mountain Fruit we have been counting on Teton for a number of our price-point models. To find solid-top instruments of this quality and in this price range used to be almost unheard of! Very little is compromised in terms of the build, and the fit and finish of their guitars. This twelve-string dreadnought is no exception, very playable with a rich and grand voice. 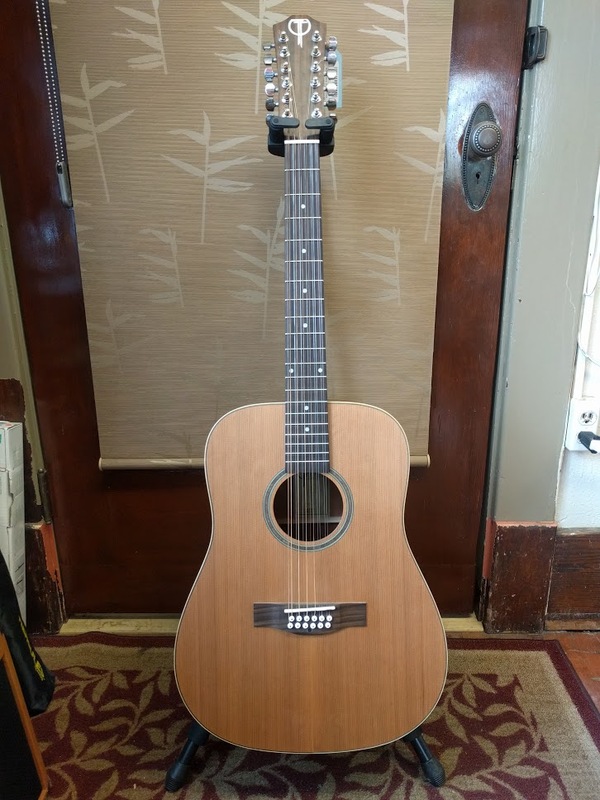 An Interesting feature is the JLD Bridge Doctor (also called a Bridge Truss), a recognized tone-enhancing device that can be found in a number of higher end instruments such as Breedlove out of Oregon. This is attached under the bridge, inside the guitar and can be likened to the sound post found in the violin family of instruments. The difference is absolutely noticeable!